this project dealt with an extremely small floor plan in a downtown athens, greece apartment building. facing a limited budget and short turn around time the transformation of the space took place through inventive details such as the addition of a bar / counter for both the kitchen and the living room space [which function as one]. 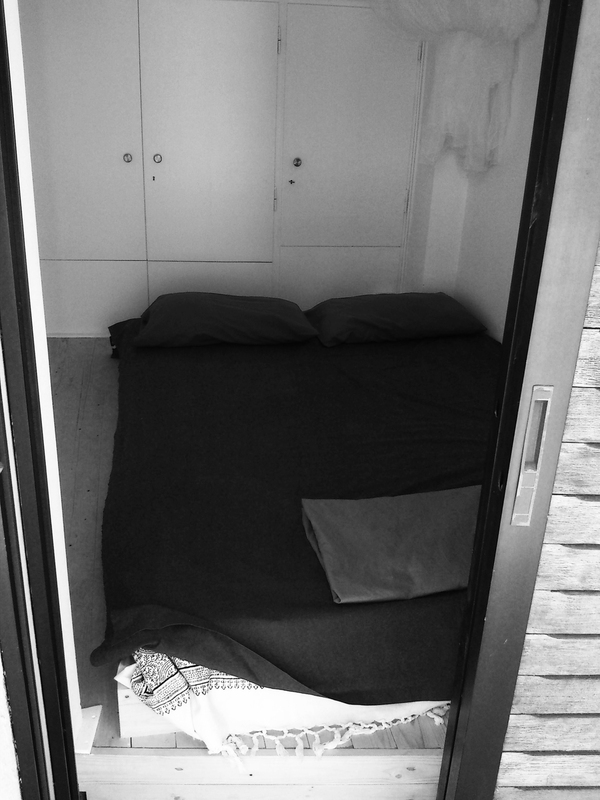 the bedroom space, an extremely small room was re-designed with the addition of a deck for the bed into which the mattress could snuggly fit within and allow the occupant to access the cabinets above and to the left. having an overall footprint of approximately 250 square feet this dark and cramped space ultimately became a little gem floating amongst the rooftops.